Content Image Factory automatically takes the images from the "Content images" list and places them into a module on the appropriate articles page. 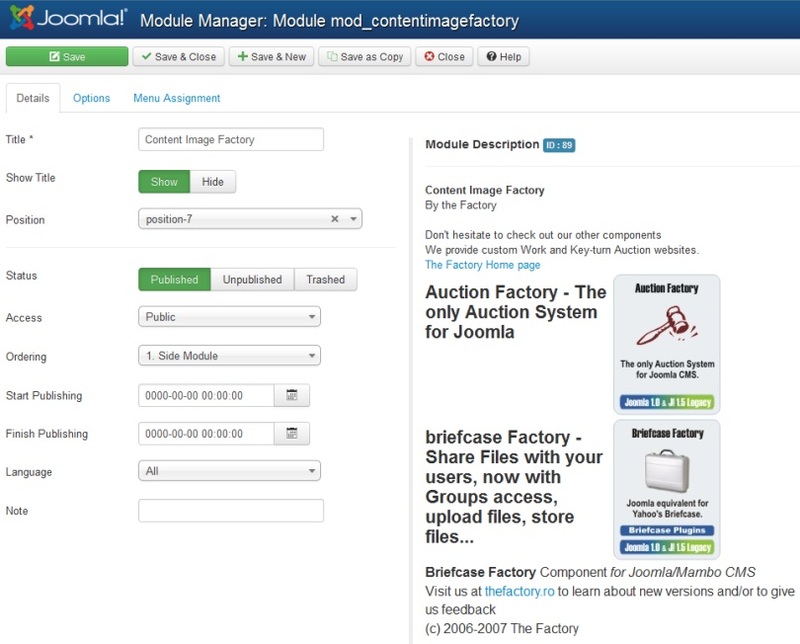 The publisher will not have to manually add the image tags in the module and also will have control over the image positioning on the page by simply selecting an area for the module. 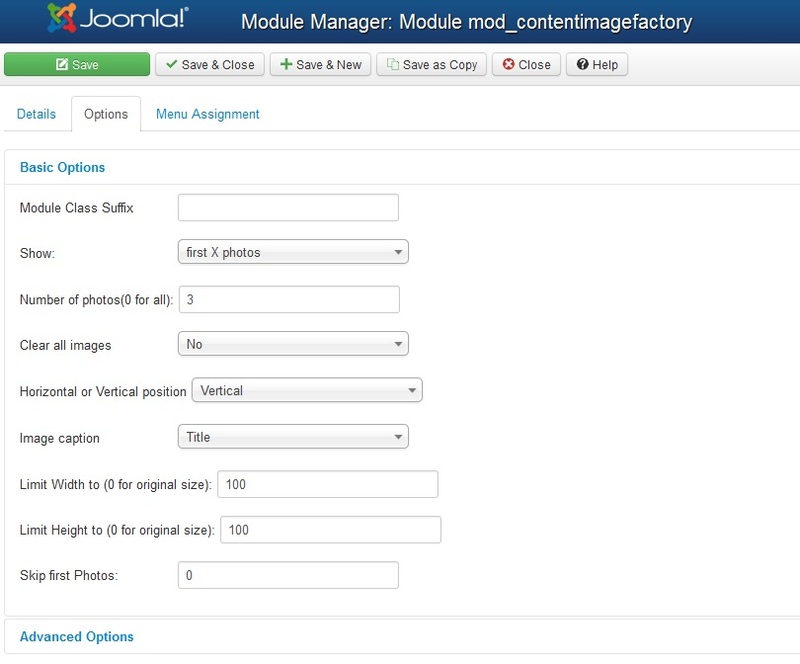 Content Image Factory Module 4.2.4 released on December 12, 2018. Content Image Factory Module 4.2.3 released on November 21, 2017. New feature: added option to hide module if no content is available. 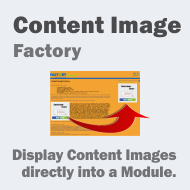 Content Image Factory Module 4.2.2 released on February 28, 2017.
mosImage Factory Module 1.0.0 released on November 22, 2007. 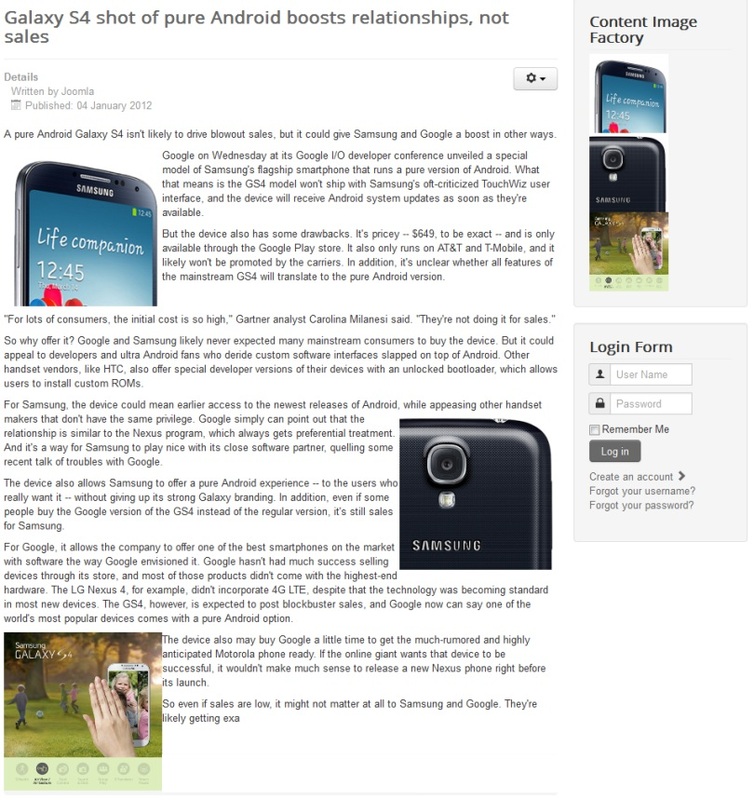 Screenshots are representing version 4.0.0 of Content Image Factory.